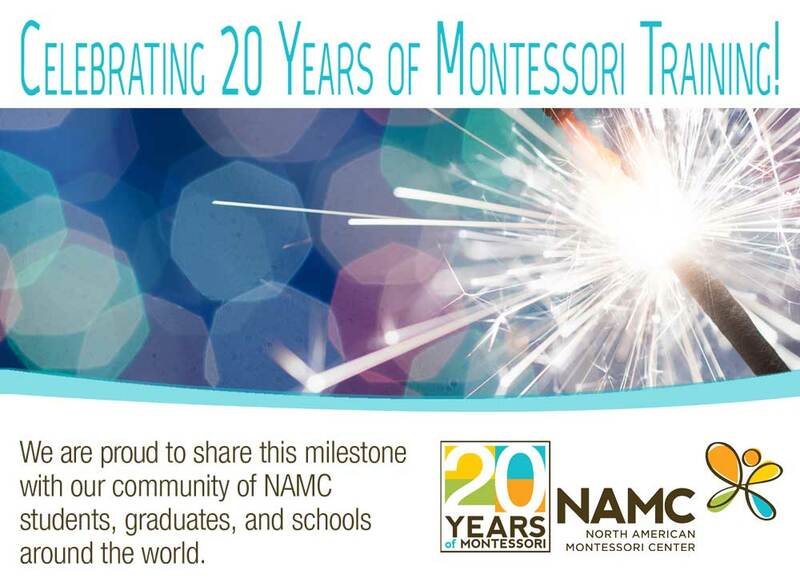 Montessori’s first plane of development begins at birth and extends through the first full six years of life. It is a time of immense physical growth, monumental brain development, increased physical coordination, body awareness, and movement, development of independence, and tremendous growth of language. The young child works constantly to create himself, finding his way in a complex social structure, developing his will, establishing his independence, and making his thoughts and desires known. All of this intense development is done joyfully through play and sensorial exploration. Through observation, Montessori found that even very young infants make an amazing effort and are able to concentrate greatly during sensitive periods of development. Sensitive periods, or windows of opportunity, are times when a child develops one specific area of interest to the exclusion of others, according to his individual needs. Sensitive periods begin and end abruptly, and are unique to each child. 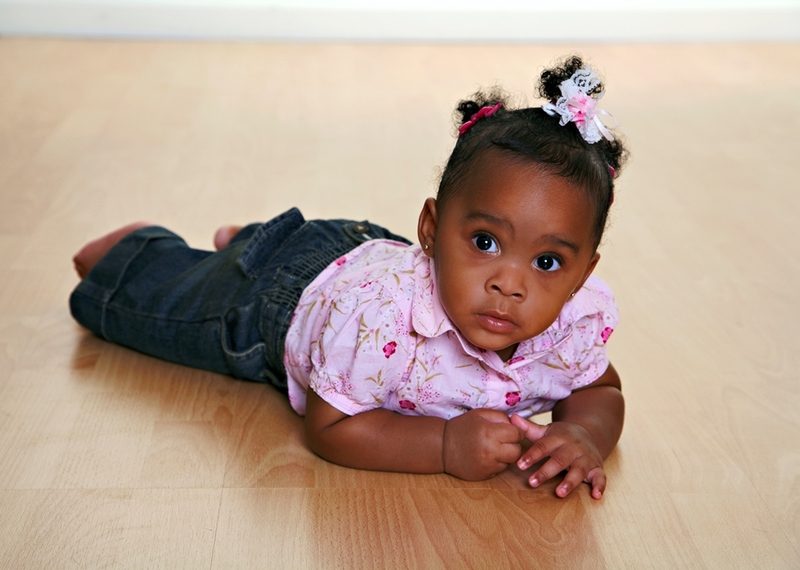 For instance, when a child is learning to crawl, he puts all his energy toward developing that motor skill. Once developed, that sensitive period is over, never to be revisited. The intense amount of effort and concentration put forth during these sensitive periods is not exhausting. Unlike adults, who would be exhausted if, for example, they spent all day training for a marathon, the child still has the strength, desire, and stamina to keep going after the activity is complete. This first plane of development is what Montessori called the period of the absorbent mind. During the first three years, all sensory experiences unconsciously imprint upon the child’s mind. In the latter half of the first plane, ages 3–6, the child consciously refines these impressions by naming, classifying, and categorizing them, committing them to memory and building the firm foundation for all future lifelong learning. Throughout the first plane of development, the primary “instrument of the intelligence,” as Montessori called it, is the child’s own hand, which works in conjunction with the brain to form the child’s intellect. A central principal of Montessori education is that “we should never give to the brain more than we give to the hand.” (Lillard, p. 27) In other words, there needs to be concrete and tactile experiences associated with all learning. Over the course of the first six years of life, the hand develops from instinctive grasping at birth to the fine pincer movement so necessary for writing and practical independence. By age six, the hand and the brain work in unison to express intelligence and develop the personality of the individual. The 3–6 environment is specifically prepared to belong the child. Learning is done through hands-on, sensorial exploration. The social and developmental needs of the child are respected. This is not a time for social, group learning. At this age, the child is ego-centered and prefers learning and working independently. They are working on becoming an independent individual. The time for collective group learning needs to wait until the second plane of development. 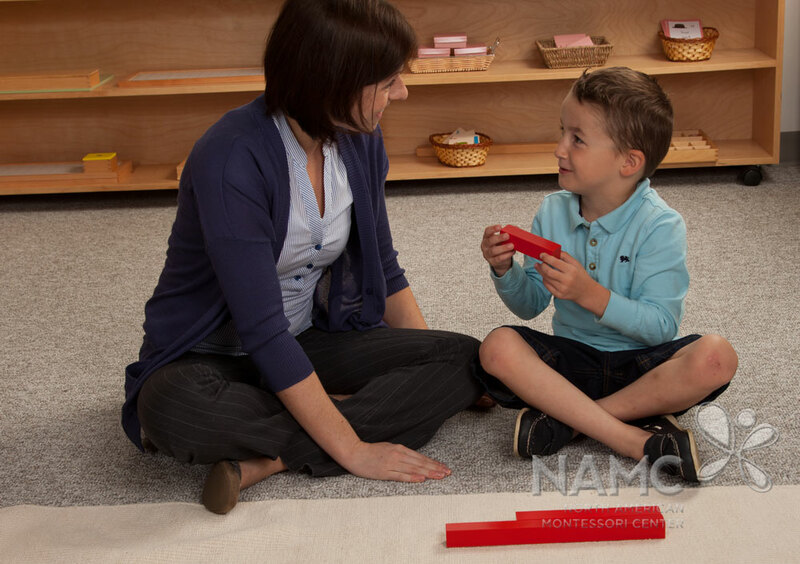 In fact, Lillard says that the content and intellectual development found in the 3–6 environment pales in comparison to the “children’s development of personality and social behavior which is the essential aspect of Montessori education.” (Lillard, p. 39) The respect that is found within the prepared environment and the teacher serve to model self-control, peace, good manners, kindness, and gentleness. All activities found within the first plane of development are meant to aid the development of the individual. In order for that to happen, the environment must be an active and positive community. While the child is working on developing himself as an individual, he must do it within the context of their community. We cannot learn to be ourselves in isolation; we must do it within the parameters of social norms. Through lessons that model grace and courtesy and because they have the freedom to explore and learn according to their interests, children develop their personalities without the will of others being imposed upon them. This brings us to the idea of the work of the child. 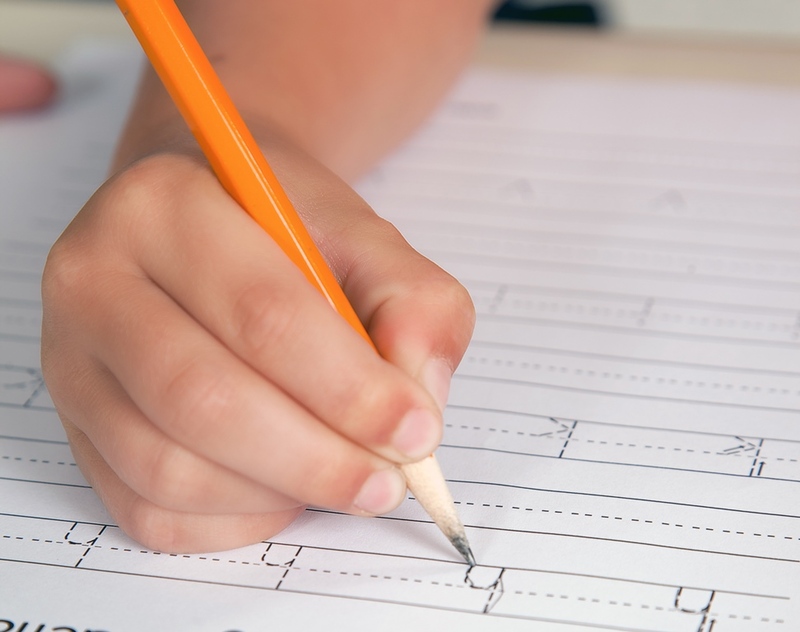 All activities found in the Montessori environment are referred to as the child’s work. The materials are not referred to as games or toys. 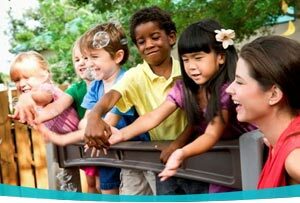 Referring to play as the work of the child expresses the importance of play in the child’s development. However, another definition of work should also be considered. If we think of work in terms of “energy expended by natural phenomena,” and we look at the natural and constant energy the young child extends to create himself, then we have a scientific way of looking at the work of children. Using the term “work” does more than attach importance to the child’s activities; it conveys the idea that the child is driven biologically to work, learn, and create himself. Sensitive periods drive the child to work on specific tasks until that task is mastered and another sensitive period of learning presents itself. This work is chosen through a biological drive to perfect oneself. Through careful observation, the adult watches for these sensitive periods and supports the child by making sure his current needs are met. Although there are tremendous physical and intellectual difference between a newborn and a six year old, when we look at the purpose of the First Plane of Development, we see that children in these first six years of life have the same goal. They are in the process of forming themselves as unique, independent individuals who are prepared to thrive in their community. © North American Montessori Center - originally posted in its entirety at Montessori Teacher Training on Monday, January 23, 2017.